Originally from Lithuania, Augustas created the European Private Label Summit in 2016 and 2017 as a means of helping other Amazon sellers capitalize on the thriving European e-commerce market. In 2018 and 2017 he also produced other two online conferences targeted to global Amazon sellers. One of them called AMZ Seller Summit got a record number of attendees 3300. During his latest virtual AMZ Q4 Strategy Summit the experts shared their tips and tricks for the most important quarter of the year - the Q4. How Trello and WhatsApp helps him in his business day-to-day. The importance of giving value to the other people. The importance of starting out with the attitude of gratitude. So let’s listen to this exciting episode and learn from Augustas’ inspiring story. If you're launching a new product manufactured in China, you will need professional high-resolution Amazon ready photographs. Because Symo Global has a team of professionals in China, you will oftentimes receive your listing photographs before your product even leaves the country. This streamlined process will save you the time money and energy needed to concentrate on marketing and other creative content strategies before your item is in stock and ready for sale. Visit SymoGlobal.com to learn more. Because a picture should be worth one thousand keywords. Steve: I've got great news, you're listening to Episode Number 77 of the Awesomers podcast series. And all you have to do is go to Awesomers.com/77 and you can see today's show notes and details. You may be happy to know that 77 is one of my Keno numbers. So, you might want to write that down and play 77 and 44 at your next Keno event in Las Vegas. Now, Augustas Kligys is our guest today, a brilliant entrepreneur born in Lithuania and now based anywhere in the world that you can imagine. He's been all over the place and he's shared part of that journey with us in the first two parts of this three-part series. Today is part three of that three-part series and we're going to kind of get into some of his future plans and some of the things that he talks about that have been helpful to him and how he has operated his virtual summits business now going to even physical summits next year in Prague, well, March of 2019. It depends on when you listen to this. It could be already after the fact when you're listening to this. So, let's jump in today and get the last of this three-part series going right now. Augustas: I don't have stories that, “Oh, Augustas, your summit helped me to become a millionaire,” but I do get all the time appreciation emails. I have a couple of fans who are following me all the time. But yes, with every summit, I get to know some new names, new people who are really grateful for the information they have listened during the virtual summit. Yes, it makes me feel very, very positive. And of course I do make a profit from selling all-access passes, but this is just an additional energy I get which motivates me to continue this work. So, always when I do anything in this, well, in virtual summits and when I think of newsletters I'm thinking of people how I can help, how I can give them value. So, it's quite hard to work sometimes. So I have to, if literally when I want to write a newsletter, my weekly newsletter, I'm sitting maybe four hours because I have to write them in a language which is not native for me and also I don't consider myself a good or easy writer, so I have to just sit and create these sentences for several hours. Steve: Well, you know it turns out that to deliver real value, it takes real work. So you're doing that, and real value is what gets paid by the way. That's the reality. That's what gets paid. So you're earning every bit of that. So we're going to take another quick break. When we come back, I want to talk about the future a little bit and get some of your inputs on that. So we'll be right back after this. Catalyst88 was developed to help entrepreneurs achieve their short and long term goals in e-commerce markets by utilizing the power of shared entrepreneurial wisdom. Entrepreneurship is nothing if not lessons to be learned; learn from others, learn from us. I guarantee that we will learn from you. Visit catalyst88.com because your success is our success. Steve: Everybody, back again and Augustas is joining me. And I just skipped the last name, but yes, give it to me one more time. Steve: Kligys. See, I got to make a visual like geese clinging to something and then I'd say, “Cling geese.” My Lithuanian is not that strong as you can tell. So, thank you again for joining me today. And before I went to break, I teased this idea that we would talk a little bit about the future. And so one of the things I'd like to know is you know you talked about Prague for 2019, have you thought farther ahead with other virtual summits or other physical summits that you may consider in 2019 or beyond? Augustas: This year, I was thinking a lot what to change because of course the people who want to listen to the same kind of virtual summits, there are always new people, but for me, I want some new challenges. I don't want to get stuck in the same kind of circle doing similar things with new speakers. So already this year, my last summit was a little bit more niche. It was about Q4 summit. So I'm planning to do maybe more little virtual summits so that people can listen and yes, it would be not so broad. So this is another one kind of challenge or one task I'm planning to do in the near future. And I didn't really plan anything else besides that event in Prague because this is already a big step forward for me. If it's successful, I might do more events, life events. I enjoy facilitating things, so I will be looking for opportunities, yes, to facilitate maybe different kind of events I will see. But I cannot promise I will start selling on Amazon. But also nobody – I’m not coaching anybody. I am not really giving direct advice. I'm always just referring people to experts I know. So yes, I'm happy with what I'm doing right now. I have to work a lot for the Prague event. There is a lot of organizational, administrational things involved, but I am looking forward to see what ideas I will receive from somewhere. Steve: From somewhere. I like that. Augustas: Yes. I believe that these ideas just come. I've got the idea to make Prague’s conference already one and a half years ago after my first two virtual summits. So yes, ideas are always coming. It's also important to clean up your head from old ideas, not to get stuck to them. So that's why I'm also trying to change things and trying to innovate. Steve: Yes, I like that. I think it is also very wise this idea of niching down your virtual summit, right? If it's just about Q4, that's a very finite bit of delivery and every speaker is kind of organized towards that same idea versus being general. Very smart indeed. Let me ask you this. Have you ever faced a time, just in the past couple years maybe, that you've been doing these summits where it's like, “This is just too much work. I want to give up” or you know “I want to just go back to programming.” Is that ever been tough for you? Augustas: No, I don't want to go back to programming. I already quit programming five years ago when I was in the phase of I have to do, I learned that I have to do what I like but I didn't know what I liked. So it was a limbo state for half a year, one year. And I got back to programming, but I don't really enjoy programming. I can do for myself but... and what was the question? Steve: Well, was there ever a day or a time that you just wanted to give up and do something easier, something more simple? Augustas: Yes. I get this kind of feeling about two weeks before each virtual summit because I work a lot for launching a virtual summit, and then when two weeks are left, I start promotion. And promotion is very hard. Marketing is for me the hardest part. And I start creating stories how it will fail maybe, and then I have to communicate a lot with speakers, attendees who are subscribing. And it's such an overload. And my wife knows that when two weeks left before the summit, I am like losing coordination at home. She is maybe asking me something or she wants me to do something, I forget in the same second she is asking just because it's just overload of all information and all the tasks. At those moments, I'm like feeling very tired and I'm feeling like frustrated, but once I finish the virtual summit and I see all these positive emails and the speakers are happy and also I see that I've got more attendees than I expected, it makes me forget what I had these emotions in the last two weeks. And I just rest another two weeks and then new ideas come. But I guess every entrepreneur has these ups and downs and especially if it's an online marketer. I think they also have challenges when they are launching products, so it's the same for me. Steve: Yes, it is very similar and very familiar indeed. You're definitely not alone. And I appreciate you sharing the story because all the Awesomers out there listening, sometimes they go through these feelings too, and it helps to remember that everybody kind of faces this or most of us do. How about a best day? Was there any best day that you can remember along your career whether it was related to the events or otherwise where you just said, “Man, this is a really good day. I'm glad everything came together the way it did.” Can you remember one? Augustas: Whenever we see a rainbow in the sky with my wife, you say, “Oh, it's a sign that we're doing something right.” But a big, big day in the last two years, yes, it's hard to remember. I had a lot of magical day especially when we traveled ten years ago, meeting, experiencing very magical situations which you cannot explain why it happened, why this synchronized. This way more bigger taste for me. Now I'm just happy that I'm doing what I'm doing. I feel happy helping people. But I cannot really recall of a specific day. Steve: Yes, that’s okay. Listen, you start out with that attitude of gratitude and you have a lot of magical days. That's a pretty good thing and no doubt that you know... The only thing I would tell entrepreneurs out there listening is when you have a really nice accomplishment in your professional life to take a little victory lap. So the next event whether it's Prague or a virtual event, just take a little victory lap and go, “Hey, even though this is hard work and even though it's draining and overload, man, oh, man, I got thousands of people to come and pay attention to this and that could help their lives if they will invest the time and energy to learn and execute what they've you know heard about on my summit, then their lives can be improved.” And so I definitely would encourage you take victory laps because what you've done is substantial and definitely is of high value to the world out there. So kudos to you. Let me ask you this. Is there any favorite tool that you use in your business day-to-day, any app or tool or something that you use that you find to be very valuable? Augustas: I think I like Trello for organizing tasks to which I'm giving to my virtual assistant or other freelancers I'm working with. Besides that, what I liked in the recent year or half a year, there is a WhatsApp. You mentioned this application WhatsApp. And what I discovered the communication with your friends or other entrepreneurs via audio messages. So I found this way of communication very, very efficient and very interesting. And I have a couple of friends with whom I communicate regularly through audio messages. And it saves a lot of time because when you are chatting on skype or email, it takes ages. And with audio, it’s just ten times faster. So I like this what I have discovered half a year ago. Augustas: Yes, exactly. You don't have to type. And also I try to communicate in this way with some other two good friends, but it becomes very personal when they hear your voice. So two friends, they refused. They said, “No, it's better for me chatting,” and then we didn't continue communicating. So yes, it becomes very personal for some people, but you have to make them use to this. And then it's really, really efficient and great. Steve: Fascinating! I love it! Thank you for that tip. Let me ask you this. Any final words of wisdom that you may care to share with the Awesomers out there listening. Augustas: I think I believe in importance of giving value to the other people, to the world. We're here on this earth to help other people. And I think it’s important to think how can you improve the lives of your neighbor or even stranger. So if you always think through this perspective, then everything else I think will prosper. Steve: I like that. Yes, I think that's a very wise words and thank you for that. Augustas, thank you again for taking the time. I know you're calling in. It's late back there, and you're getting ready for a big trip. So I really do appreciate you taking the time out of your busy schedule. Augustas: You know what, it feel good. I like it. Steve: All right, Awesomers listening at home or wherever you are, I don't know where you're, listening, we'll be right back after this. Hey Amazon Marketplace professionals! Congratulations on your success today your creativity, strategic vision, problem-solving and discipline have allowed you to build your own E-commerce business. Wouldn't it be great if you had more time to focus on the things that truly drive the sales and growth of your company instead of getting lost in a dozen different services and countless spreadsheets? What if there was one system that connected to your Amazon account that automatically give you the information that you need it to make great decisions and really impact your business. Parsimony ERP can do that. Parsimony is the business operating system for your marketplace business. With Parsimony you get true double entry bookkeeping, easy financial statements, full customer service tools and item-by-item profitability along with project and task management and more features are being added all the time. Learn more at Parsimony.com, that's Parsimony P-A-R-S-I-M-O-N-Y.COM. Parsimony.com, we've got that. Steve: Well, there you have it. 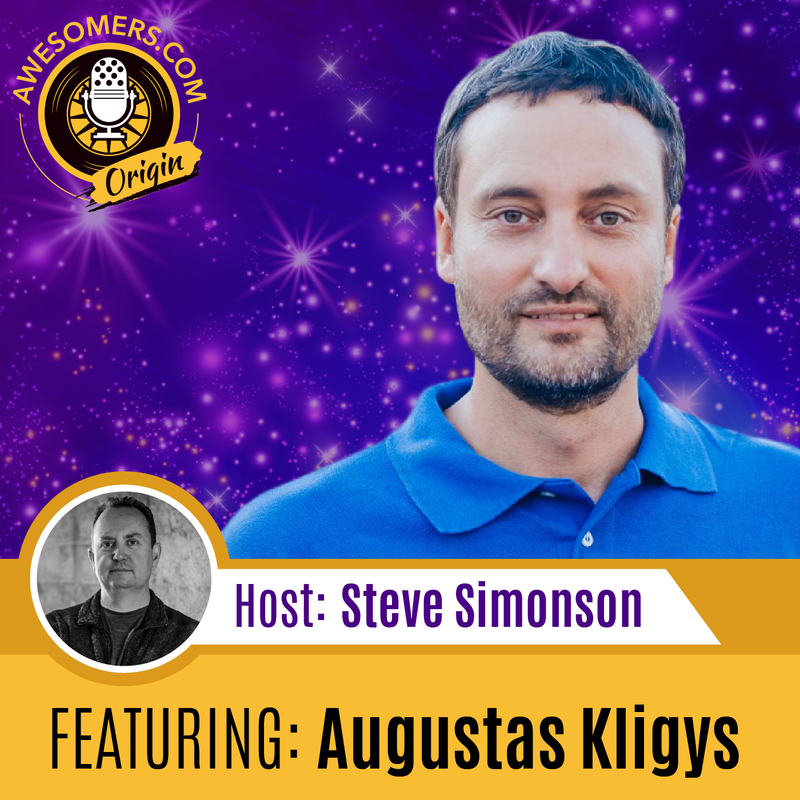 Augustas Kligys, what a great guy and a fun guy to really talk to and understand his journey. I really appreciate how he approaches things. He's very neutral about his own particular opinions when it comes to putting these summits together. So he talked about in during this three-part series that you know sometimes experts will have different perspectives, and I often could argue more than one side of the equation, right? If somebody says, “Well, what's the best way to launch?” I've heard a number of different ways, and I'm talking about launching a product on Amazon for example. Somebody could say, “Well, you should do immediately a bunch of giveaways on the first day.” And somebody else may say, “Oh no, you should do you know sustained giveaways over a longer period of time, maybe a week to ten days or something.” And I've seen both of those work. And the point is that you can have experts with differing opinions, and both could still be right. And Augustas understands that at the high level. Very, very smart guy. I love his worldly experience and the fact that he's willing to jump on here and share with you kind of his story of what he's doing. So again, this is the third in the three-part series with Augustas Kligys. And this has been Episode Number 77 of the Awesomers.com podcast series. All you have to do is pop over to Awesomers.com/77, and you can see all the relevant show notes and details. Well, we've done it again, everybody. 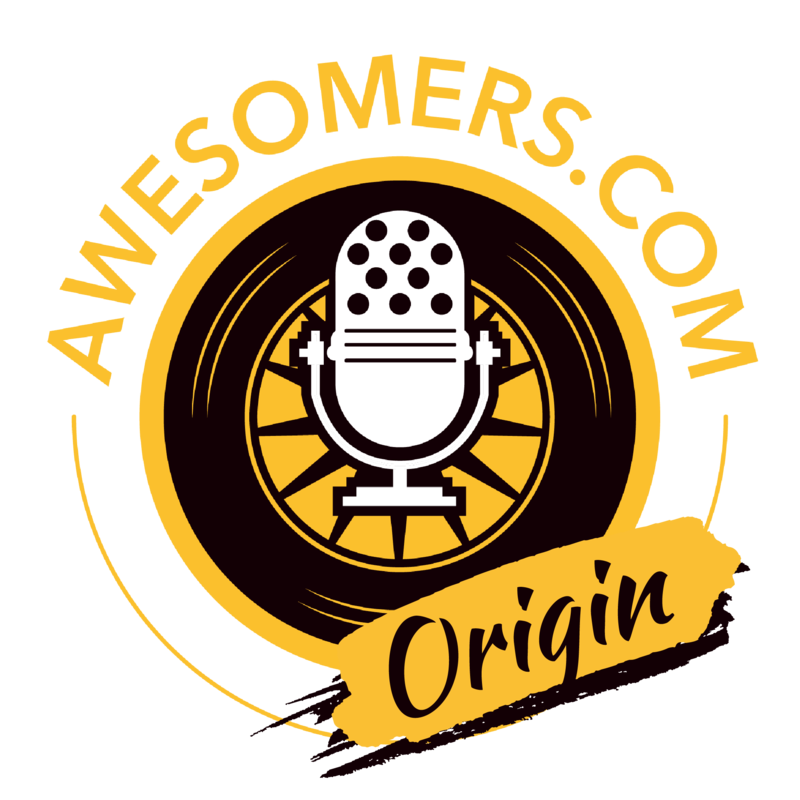 We have another episode of the Awesomers podcast ready for the world. Thank you for joining us and we hope that you've enjoyed our program today. Now is a good time to take a moment to subscribe, like and share this podcast. Heck, you can even leave a review if you wanted. Awesomers around you will appreciate your help. It's only with your participation and sharing that we'll be able to achieve our goals. Our success is literally in your hands. Thank you again for joining us. We are at your service. Find out more about me, Steve Simonson, our guest, team, and all the other Awesomers involved at Awesomers.com. Thank you again.